Today, I am happy to introduce another guest post by Mike Wilson from Creative Safety Supply. 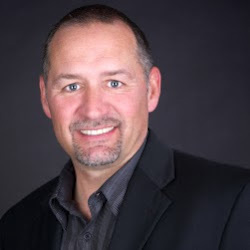 Mike enjoys blogging and reading about the lean manufacturing niche. He is invested in Creative Safety Supply, known for its safety products to help manufacturers with their 5S and Lean Projects. Mike is going to talk about the importance of 5S, specifically tips for organizing tools in your workspace. Are you familiar with the strategies of 5S? If not, right now is a great time to learn! 5S originated from a Japanese concept involving the “lean” mindset and it is has been successfully utilized within many different business sectors to help improve overall function. Let’s start with a basic overview of 5S and then discuss how it can help tremendously with tool organization. The five S’s basically stand for seiri, seiton, seiso, seiketsu and shitsuke. Have I lost you? I hope not. Let’s briefly go over these five terms in English for better understanding. 1. Sorting: The first “S” stands for sorting, this essentially means to get rid of unnecessary items or tools and to prioritize the items that are used so they can be stored more efficiently and within accessible areas. 2. Straightening: The second “S” is for straightening or setting things in order. The main objective here is to organize the workspace to be most efficient and productive by locating tools and equipment most often used in easy to access areas. Not only does this better utilize the space within the work area, but it also helps to save time that may be lost in trying to locate specific items or tools. 3. Shine or Sweeping: The third “S” focuses on cleanliness. Having a clean and tidy workplace encourages others to also keep the area clean and helps contribute to a more productive and effective work environment. 4. Standardizing: The forth “S” helps with standardization, the goal with this strategy is to keep workstations that do the same jobs more uniformly organized. For example, if an employee does a particular job and there are multiple work stations doing that same job, the employee should be able to move effortlessly from workstation to workstation since they all function in the same manner. 5. Sustain: The fifth “S” is for sustaining the practice. This step basically includes the monitoring and sustaining of the four previously mentioned 5S tactics. The focus should be to move forward with the 5S methodology and not fall back into old ways and habits that are potentially not as beneficial and effective for the organization. After reviewing the 5S tactics, it is pretty easy to see how this methodology can be very helpful with operating and maintaining an effective workspace. One key component we want to discuss regarding the 5S practice is tool organization. Tool organization seems to be among one of top areas of concern and disorganization within many types of businesses including, but not limited to auto body shops and maintenance departments within manufacturing facilities. Unfortunately, so much time is wasted looking for misplaced tools that businesses are losing valuable employee work time and also the tools that were not properly organized or returned. One very helpful alternative to implement to help with this issue is the use of a foam tool organizer. A foam tool organizer follows the methodology of the 5S mindset in making tools easy to find, and located within a handy area. Most foam tool organizers are fully customizable meaning that you can alter them to fit any sort of tool related to your business. Whether it be screwdrivers, hammers, or pliers they can all easily be stored within the organizer. 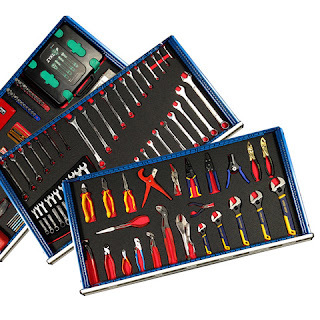 Not only does this type of organizer save time in locating needed tools, but it also saves the business money by not having to purchase replacement tools in place of lost tools and in addition, it keeps a neat and tidy workspace. Many people who implement the help of a foam tool organizer wonder how they ever functioned efficiently without one. It’s worth it to take some time to really review the 5S process and analyze whether the use of foam tool organizers could be helpful with the organizing of your business-related tools as well. Very nice sharing dear Tim, my thinking is also the same as you, well I'd love to get your feedback on my blog as well that is all about 5s methodology, thanks !